Modern businesses need modern communications tools. With device-agnostic voice calls, data connectivity, video conferencing and rich host of unified communication collaboration tools, CGS’ hosted VoIP solution provides enterprise-level performance at a substantially lower per-seat cost for companies. So stop worrying about growth because of your PBX system and antiquated vendor hardware. Step into the cloud and enjoy the quality and connectivity afforded through a cloud based VoIP solution from CGS. CGS’ cloud based PBX allows connected devices to access communications tools available anytime, anywhere and without the need for vendor-specific software and hardware. Compatible with the latest in digital hardware, CGS’ cloud based phone system allows users to tap-in from tablets, smartphones, desk phones and computers—at the office or on the go. Clear, coast-to-coast connectivity without worrying about the integrity of your centralized system. With 24/7 uptime monitoring and an industry leading network, your business will always be connected. Take your communications services with you. Anywhere. Now connecting to the cloud is easier than ever. Enter the world of Voice over IP with minimal effort and cost. Hosted VoIP from CGS provides advanced communication tools and calling features, all completely managed and hosted for you over our industry-leading network. Your organization can avoid significant capital investment while reaping the benefits of VoIP..
Help Your Customers Help Themselves with Powerful Interactive Voice Response (IVR) Applications. Faxing made easy. Send and receive faxes online, using your phone, tablet or laptop. CGS provides an auto dialer service that is web-based and requires no hardware or software. This sets us apart from many auto dialers that require a hardware dialer be installed on-site. 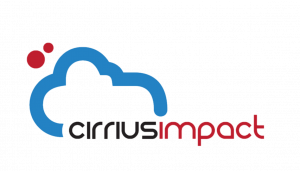 CirriusImpact © 2019. All Rights Reserved.